Hollybeary Creations : Just for You..
Hi everyone.. Today I have a cute Christmas card using one of the newest sets from Two Paper Divas called Truffle Treats. I created a A2 size top folding Whit card base and I added a piece of pattern paper from the Teresa Collins Santa's list 6x6 pad. I die cut the paper with the Pizazz Pieces Creative Cuts from Mama Elephant. Then I stamped the truffles from the Truffles Treat set onto some White card stock using the Walnut ink from Lawn Fawn. I cut them out and adhered them to the bottom corner of the card front. I colored the Holly in with Copics and added some shimmer to the truffle tops and Holly with the White, Green & Red Wink of Stella pens. 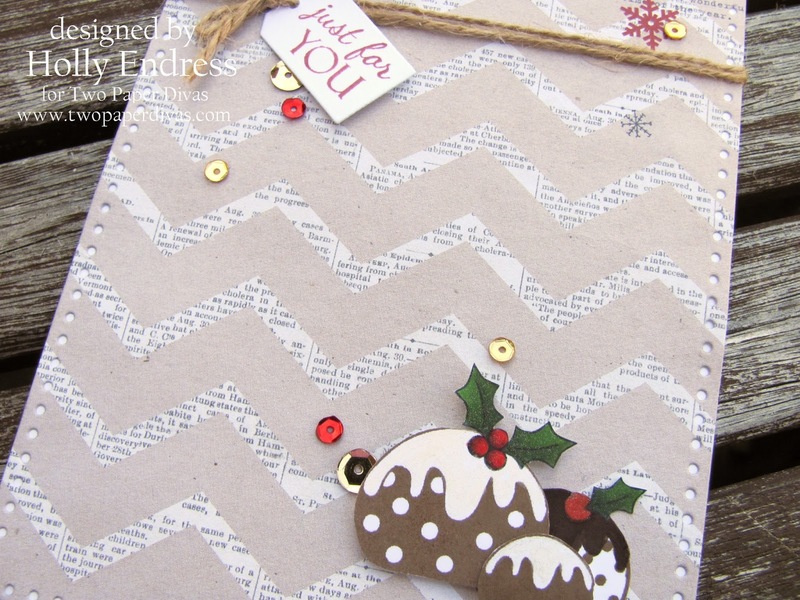 I tied some ribbon around the top and attached a tag with the sentiment from the Truffle Treat set using some Cranberry ink from Lawn Fawn. For a bit more sparkle I added some Classic Christmas sequins from Pretty Pink Posh. Be sure to head over to the Two Paper Divas Blog for more inspiration. Cute card with a cute set...we are having lots of fun and you certainly made these truffles look good! Thanks for sharing!